Haiti -The Caribbean country of Haiti is probably best known for being subjected to natural disasters such as hurricanes and earthquakes. 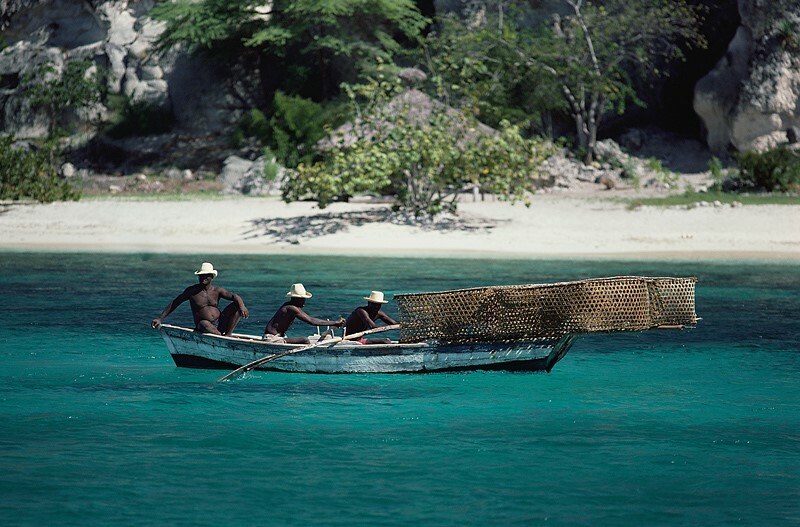 However, this picture of Haitian fisherman catching their haul of the day showcases the country’s beauty in calmer times. Phuket, Thailand The paradise island of Phuket is popular with travellers on the backpacker circuit, and with blue waters and fascinating rock formations the view that awaits them, it’s not hard to see why. The boats rested on the shoreline also hold the promise of further adventures. Trinidad -We can’t be 100% sure what this woman is celebrating but we can only imagine it’s the glorious combination of crystal clear water, white sands and blue skies served up by the stunning Caribbean island of Trinidad. Cable Beach, Australia - When you are weary of the modern society’s fast-pace what better way to unwind than with a leisurely sunrise camel safari along Broome’s Cable Beach? Galapagos Islands - The Galapagos sea lion exclusively breeds on the islands and with few commitments on the agenda apart from creating the next generation and filling up on fish, it’s no wonder they look so relaxed!